Pack Type: Packing are available in Pouches, & Bags. Pack Size: We Have Many Types Packing As Small & Big Size. Pack Size: 50 gram,100gram,500gram and 1 kg in colored and 20kg to 25 kg Bulk Packing. Pack Type: Double Layer Vacuum Packing (Vacuum Sealed LDPE Pouch + Composite Alluminium Foil Pouch). Glory Black Henna makes colouring easy. This unique hair dye spreads quickly and evenly, right to the roots of your hair. It imparts silkiness and shine, leaving your hair soft, fragrant and delightfully manageable. Being a customer oriented organization, we are deeply engaged in offering a wide array of Kali Mehendi Powder. 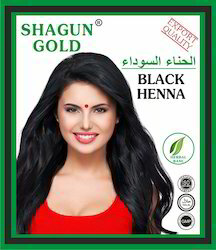 Being a well-known name in the market, we are occupied in presenting an optimal quality of Black Henna Hair Dyes to the esteemed customers. 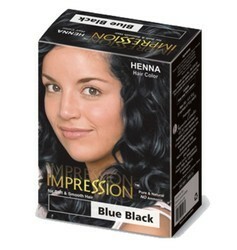 We are the manufacturer and exporter of 100% Natural Black Henna colours. These hair colours are made from pure henna and a number of rare herbs. These colours not only give a natural shiny colour to hair, but also nourish the hair and leaves behind a healthy scalp. - We offer Black henna hair color that contains herbal henna and some fine chemicals. This unique hair color spreads quickly and evenly right to the roots of your hair. It imparts silkiness and shine, and also makes your hair soft, fragrant and delightfully manageable.